I heard something terrible today. And leave it to Rodan + Fields to be the bearer of bad news. They have already hijacked my Facebook with all their reps’ posts. I found out today about face-crushing. Do you know what that is? I know R+F aren’t the first people to bring up the concept, they are just the way I finally heard about it. It’s when you sleep on your side or stomach and your face essentially gets smushed into the pillow for hours, creating wrinkles. I already know of a specific wrinkle I have from this very thing; however, I didn’t know the name and now I am sad. I’m sad that I am officially “crushing” my face. In essence, I am crushed. Being amidst my 3rd pregnancy, I know what it’s like to want to sleep on your stomach and not have the luxury. The first thing I did when I came home from the hospital after having my first 2 kids is throw myself face first onto my bed. I was intoxicated with joy and lack of oxygen. My own personal form of asphyxiation fetish. 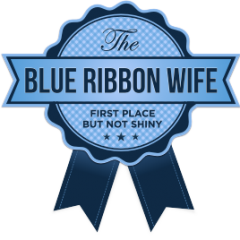 But now it’s like I have to stand up in a group and say, “I am The Blue Ribbon Wife, and I’m a face crusher.” What kind of steps are involved in changing this? There’s no support group. There’s no one to stay awake all night and gently ease my body over onto its back when my weakness for crushing takes over in my semi-concscious state of sleep. My husband is no help because I make him sleep on his stomach so he doesn’t snore (right?!). I have to wake up every morning knowing that at some point I probably crushed. Even if I am able to sleep on my back and change my ways, I am now aware that my two favorite things in the world: 1. Laughing and 2. Sleeping on my stomach, will cause me heinosity (why isn’t that an official word? Btw, I’m convinced my friend and I coined this word that is nowhere to be found except on Urban Dictionary) in the future and possibly a lot of money spent on botox, surgery or R+F products (well-played). I’m crushed. I just need some time. Posted on August 22, 2013 by BRW. Bookmark the permalink.